For the last couple years of my life, I would just use whatever cleanser I could find to wash my face in the morning. It didn't matter what was going onto my face. This was my mindset: I wash my face really well the night before, and the only place my face is going to be throughout the night is on my pillow. Nothing dirty will be on my face, so why do I need to use anything specific to clean it in the morning? 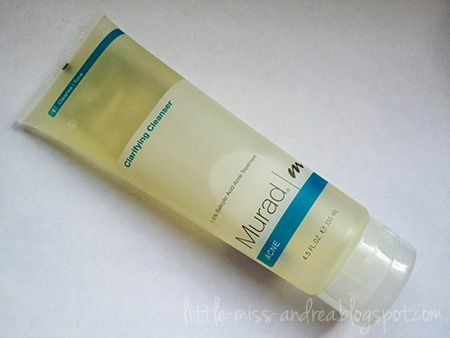 All was well, until I started to use a cleanser I got as a deluxe sample from Sephora: The Murad Clarifying Cleanser. During the friends & family event, I was given the chance to redeem a 4.5 oz. size sample for 100 points. Such a good deal! So really, it didn't matter to me whether or not I would like the cleanser, since it was just going to wash my face in the morning. But now, I've grown to like it so much that I think I'm going to continue using this cleanser forever and ever and ever. Yes, I'm feeling pretty committed. I used it for the entire duration of my trip in Asia, and give it a big thumbs up! 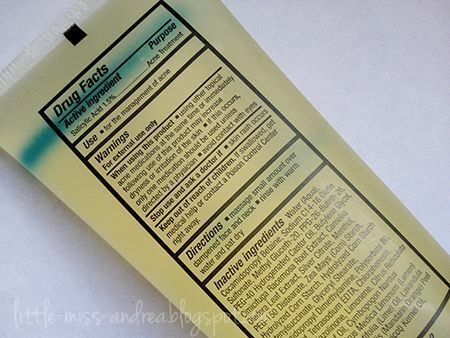 The active ingredient in this cleanser is one we all know too well - salicylic acid at a 1.5% concentration. The cleanser is targetted for the treatment of acne, and while I don't have that, I'll normally have a breakout here and there. Since the beginning of it's usage in my morning routine, I haven't noticed any breakouts at all - awesome! 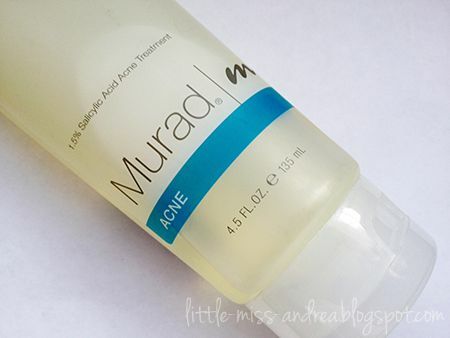 This particular cleanser is clear, and runs on the more liquid side of things. It carries a slight scent.. I'd say somewhat herbal, but refreshing at the same time with citrus notes so I don't mind it at all. I don't want to scare you with the word herbal, but when I think of herbal, I picture that gross chinese medicine soup.. this cleanser is NOT that type of herbal. Otherwise I'd run in the other direction and you'd never see me again. Interesting....i gotta check it out! I have started hearing about this brand lately in magazines as well. Hope you're having a fab weekend Andrea!!! Looks like a fantastic product. I like products that last a long time. As you can see, I'm quite frugal. Manicure Monday: To Buy, or Not To Buy?